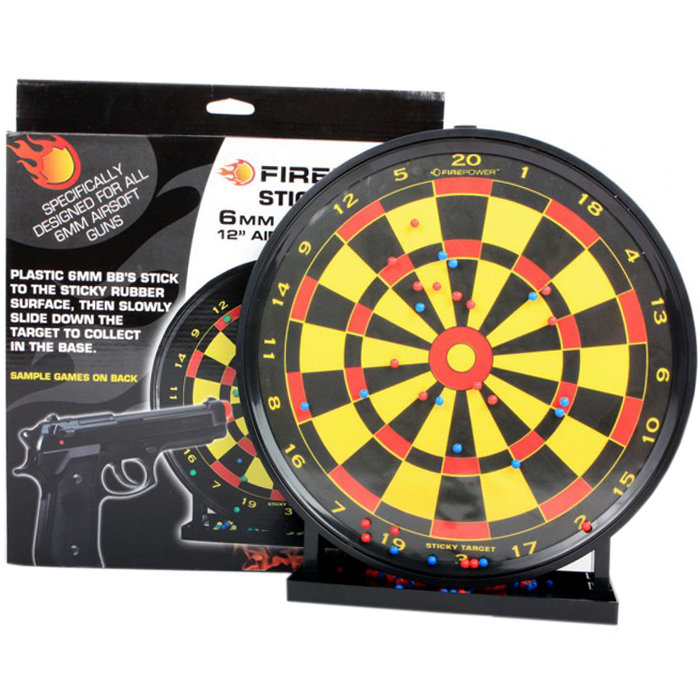 The Cybergun Sports Dartboard Target board is perfect for backyard target practice and casual shooting sessions. The sticky board is designed to collect BBs for reuse, and includes a base for storage. The durable surface will stay sticky even with extended use.